Poison Rings are perfect for magic making and whimsy... We filled ours with edible glitter so we could sprinkle and taste bits of glimmering magic amidst beeping monitors and the slow drip of biologics ... each trip the infusion center we introduce some new form of magic - this was a surprise for my daughter - matching medicine with magic on the eve of her birthday. She loved it! Next time we will fill it with fancy sprinkles and she has plans to tuck little notes and other magic elements into her ring. 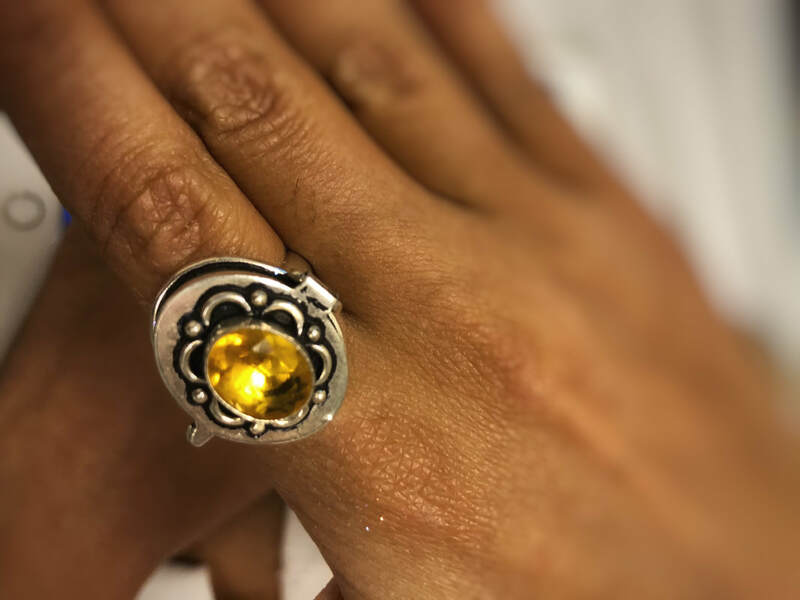 Why a poison ring as a talisman for luck during a trip to the modern infusion center? Medicine, magic, and religion all were once intermingled in the ancient psyche - and ritual and magic are important in our family as part of the path we carve to create hope and healing. Poison rings – alternately referred to as pillbox, compartment, locket or vessel rings – have been used since the 16th Century to carry poison or mementos. During the Middle Ages, they were often used to hide relics of saints, like bits of their hair, bone and teeth, which were thought to protect the wearer from various calamities and maladies. 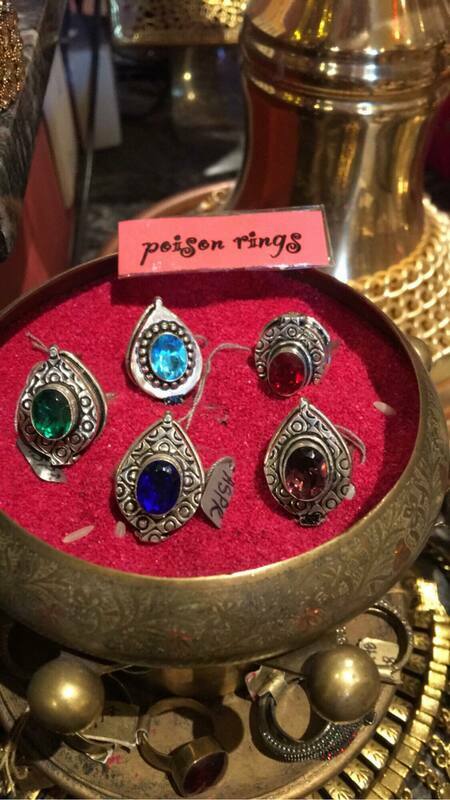 'As with all magical things its best to source them from beloved and trusted mystery makers - I love the selection of poison rings at Serrahna and Andrea - the owner/designer- is the perfect purveyor of poison rings and other items to add magic to the day to day. If you need a magic infusion - it's worth a trip to her store - it's like entering into a magical world - a textile treasure chest. Mermaid Mama- seeker of magic, lover of beauty, finding light in the shadows. Medical advocate for pediatric illness and rare diseases - infusing magic into activism.